Health benefits should be easy, after all, they are benefits. However, too often, they are confusing and poorly communicated to employees. A survey, conducted by Healthcare Trends Institute, provides important information on employee’s feelings related to their health plans, communication preferences, health plan costs, and employee financial and retirement preparedness. Here are 4 tips as a result of the survey to help better educate your employees about healthcare expenses. The research showed that employees rate their understanding of their healthcare benefits options at only 69%. They rated their employer’s ability to educate them about their options of healthcare benefits at only 61%. One of the ways to improve employee understanding of healthcare benefits is to be transparent. Explain to your employees what is available to them. Confused employees about healthcare plans lead to frustrated employees. Almost 30% of respondents are frustrated with their current plan. On the contrary, highly educated employees lead to satisfied employees. 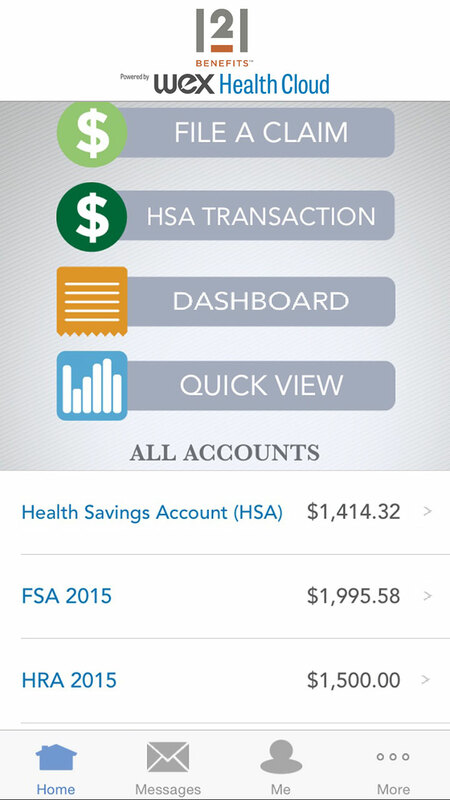 On average, 86% of employees are familiar with a Health Savings Account (HSA), Flexible Spending Account (FSA), or a Health Reimbursement Arrangement (HRA). However, only 24% of those employees are taking advantage of those opportunities and currently enrolled in one. Be hands-on and tell your employees what you have to offer for healthcare and pre-tax accounts including any upcoming changes. By offering healthcare benefits and pre-tax accounts to your employees, you are providing them a great opportunity to save money on healthcare. With that, be upfront and tell them what expenditures they will face. A very small portion, 36% in fact, of employees say that information about their healthcare benefit cost was openly presented during open enrollment. Even worse than that, only 39% of employees feel that the information regarding cost was readily available. So, as an employer, know the information regarding the potential costs of your healthcare benefits and communicate them upfront. Employees all have different preferences when it comes to communication methods with their employers. With the increasingly importance and popularity of web integration in employee benefits, communicating on the right web platform has the upmost significance. More than half of employees prefer messaging through a website. The second highest percentage of employees, 47.4%, continue to prefer printed factsheets. Live presentations remain favored by 38.6% of employees. Email communication is preferred by 38.6% of employees. A one minute video is equal to 1.8 million words of text. Videos can communicate facts much more effectively. 23.7% of employees show preference in video messaging. However, recognizing that your employees may not prefer any of these methods is crucial. Sometimes individual consultations are necessary. Having a concrete understanding of employees’ communication preferences will create a thriving workplace. Great benefits can only assist your employees if they recognize the extent that benefits will improve their lives. Only 42% of employees in this survey are saving for future healthcare expenses. In addition, only 55% of employees feel prepared for future out-of-pocket medical expenses. Live customer service online and over the phone will help clear up any confusion. Educate your employees and be transparent about healthcare benefits. Healthcare is complicated and sometimes stressful on employees. Some ways to improve the education on healthcare benefits and the satisfaction levels with employees are to use a variety of communication methods, and to provide the employee with information regarding anticipated costs now and in the future.